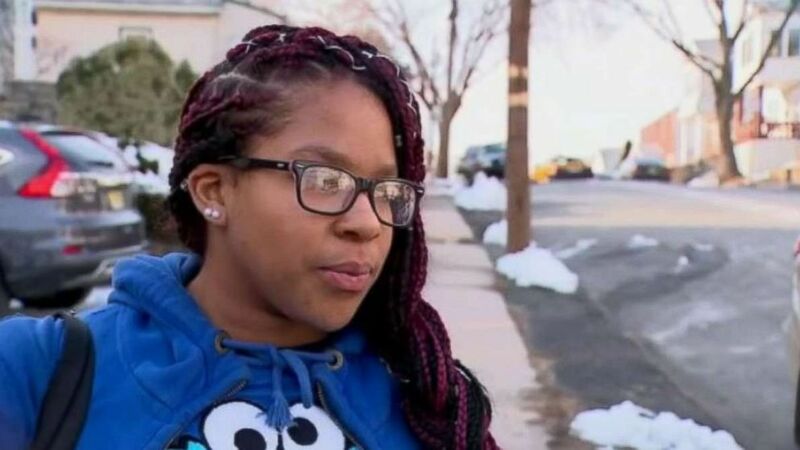 On Thursday morning, 17-year-old Kayla Rose was walking her dog around her neighborhood in Irvington, New Jersey, when she heard someone crying for help. The muffled sounds were coming from the trunk of a car parked on the street. "I heard knocking and scratching on the trunk of the car, and I just backed up because I was scared," Rose told WABC in a recent interview. "And then I heard it again. And then I said, 'Hello.' And he was like, 'Hello, can anybody help me?'" Rose ran inside her house to tell her mother what she heard. She also alerted neighbors who came out to help and called 911. "I got a crowbar and tried to pop the trunk, but it just bent the metal," neighbor Joe Bollaro told WABC. "The cops were coming, so I didn't want to, I said, 'They're coming. Hold on.' I said, 'Can you breath?' He said, 'Yeah.'" Police arrived on scene and opened the locked trunk. The man inside was then transported to a local hospital for non-life-threatening injuries, according to the Union County Prosecutor's Office. "He was shaken up, he was beat up," Rose's mother, Marie Banks, told WABC. "I guess he was very happy, thankful for my daughter that she found him." After a preliminary investigation, police learned the man had been carjacked, kidnapped and robbed the previous night in Hillside, about 3 miles south of Irvington. Two gun-wielding suspects took the victim to local banks in the area and ordered him to withdraw sums of cash, then drove to Irvington, where they left him locked in the trunk of the car, according to the prosecutor's office. JaVohn Berrouet, 24, was arrested on Friday and charged with carjacking, kidnapping, robbery and weapons offenses. Police said they found a ski mask and .45-caliber handgun at his residence. Police are still searching for a second suspect. The Union County Crime Stoppers was offering a reward of up to $10,000 for information leading to an arrest and indictment in the case.